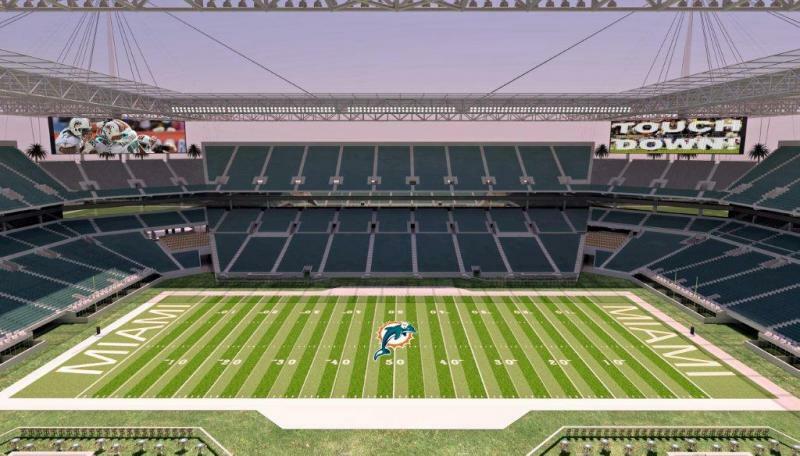 Tick-Tock: Will The Miami Dolphins (And Their Stadium) Be Ready For The New Season? These days the Sun Life Stadium looks like one of those Transformers robots that got stuck midway through its metamorphosis into something. Cranes stretch up into the sky, metal rigs like giant Lego sets sit on each corner of the stadium. It's impressive, but will it be done in time for the start of the season, let alone the start of pre-season? Reporter Adam Beasley of the Miami Herald says it is likely, barring Mother Nature interfering. The regular football season for the Miami Dolphins kicks off in Washington this Sunday. The team's first home game is against the Buffalo Bills Sept. 27, and on that day fans will notice some changes -- especially to the food. Last week, the team's hospitality provider, Centerplate, announced changes to the menu. Ben Metzger is the concessions and retail manager. He says it was all about creating a local flavor for the fans. Canes Marketing Encourages Fans To "Go To Fewer Games"
The University of Miami Hurricanes have had trouble filling Sun Life Stadium in the past. It is far away from campus, and attendance often does not fill even the lower bowl. So the marketing team at the athletics department tried something a little unconventional: They created an ad calling on fans to "GO TO FEWER GAMES." Can Beckham Bend It At A Boat Slip? 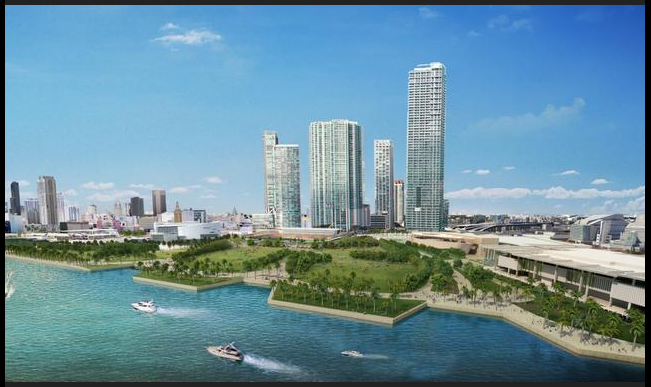 On The Florida Roundup: Former soccer star David Beckham's team presents a new plan for a stadium and park at a boat slip by the American Airlines Arena after their vision for a facility at Miami's Port faced fierce opposition. Miami-Dade County Mayor Carlos Gimenez got into office by touting his opposition to Marlins Park. But this week he was all over in the news for deals with sports teams, including the Miami Heat and Dolphins. What’s changed? And a reporter spends eight months delving into the world of South Florida's Seminole and Miccosukee Indians. 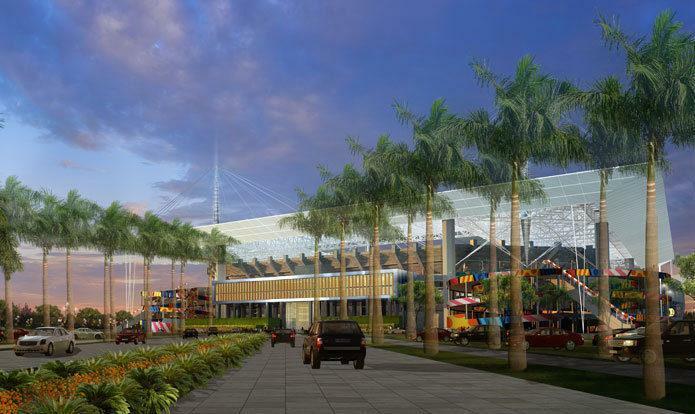 SunLife Stadium Renovations: How About Now? 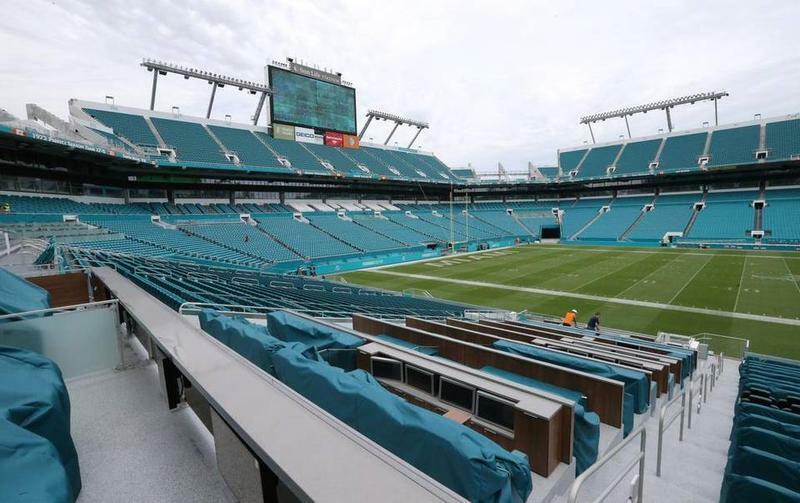 The Miami Dolphins renovate plans to fix-up SunLife stadium. Stadium and team owner Stephen Ross offers to pay for up to $400 million in renovations - if - he gets a break on property taxes. Ross says it’s again about bringing the Super Bowl back to town, but that doesn’t comfort the City of Miami Gardens and the school board that are looking at losing $1 million each in lost property revenue. The Guinness International Champions Cup, a preseason soccer tournament beginning in Spain on July 27, will draw to a close at Sun Life Stadium on August 6 and 7. I moved to South Florida in '82 from Canada and immediately became a Dolphin fan and season ticket holder up until 2009. Through that time I saw the privately funded Joe Robbie Stadium get built, and then renovated and subsequently host a couple Super Bowls, which brought great benefits to the local community. I owned a print shop and design firm in Tamarac at the time, and you could literally feel the benefit to the community from there. It seemed that everyone was busy and profitable in and around those Super Bowls with the massive influx of revenue these events brought in. Soccer isn't just a sport in Brazil, it's a religion, and the main temple is the Maracana in Rio de Janeiro. The venue is not only the biggest stadium in Brazil but the biggest in South America. 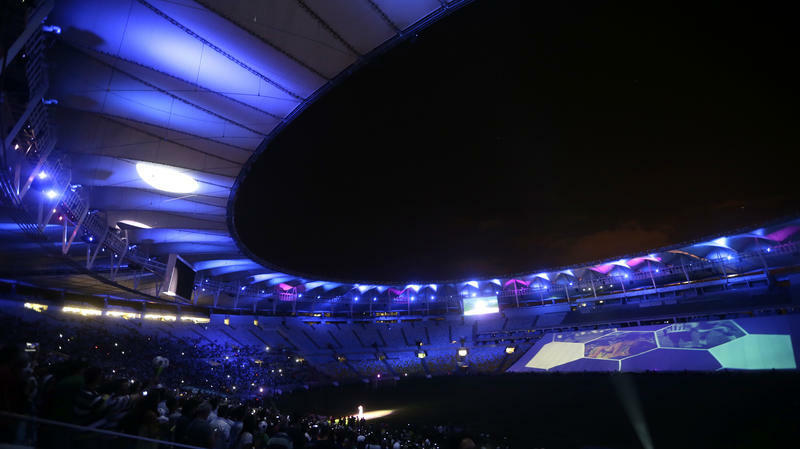 Over the weekend, the newly renovated complex reopened to great fanfare, with stirring musical numbers, a light show and dignitaries including Brazil's president. The headlines in the local media, however, focused not on the fanfare but on the many problems, from flooding in the VIP area to malfunctioning seats and turnstiles. The stadium was also four months late reopening. Update 10:07 p.m. EST: The Florida Senate approved the Dolphins bill, 36-4. Now the House will get its turn to pass its own version. Believe it or not, early voting began Monday in Miami-Dade County in a referendum that may NOT be needed by the end of the week. We're a little over two weeks away from the scheduled Miami-Dade County referendum on proposed upgrades to the Miami Dolphins' Sun Life Stadium. State lawmakers still need to approve a local hotel tax increase and a Dolphins subsidy that would help pay for the renovations. If that happens, the public will have a chance to officially vote on the upgrades on May 14th. 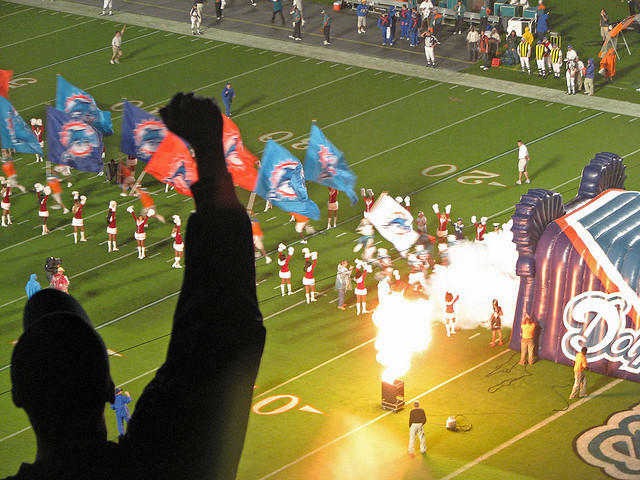 Marathon talks between the Miami Dolphins and Miami Dade County officials appear to have delivered a tentative deal. 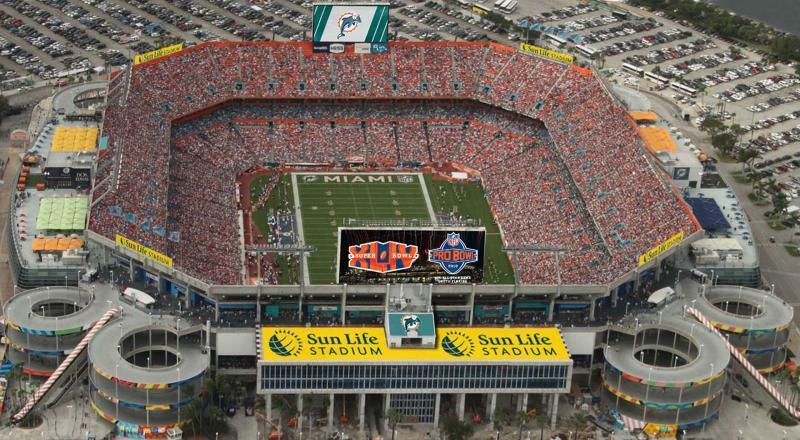 In the agreement, the Dolphins would receive $7.5 million a year in hotel sales taxes to renovate Sun Life Stadium. The deal also stipulates that the Dolphins repay the county between $110 million and $120 million over the next 30 years. The team would face huge penalties if it fails to bring high-profile sporting events to the stadium, including four Super Bowls and four college football championship games. 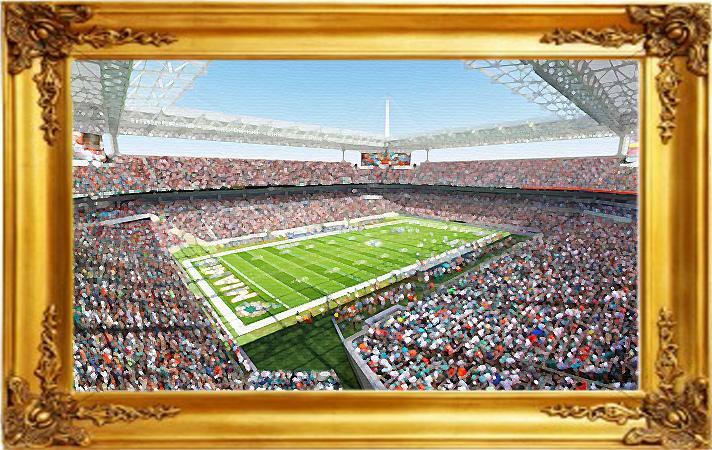 On the Florida Roundup: The Dolphins jump the first hurdles in their quest for public money to upgrade Sun Life Stadium. Rising tides on your street - how sea level rise could cost our region millions.